This Ram ProMaster Cargo Van boasts a Regular Unleaded V-6 3.6 L/220 engine powering this Automatic transmission. Steel Spare Wheel, WHEELS: 16" X 6.0" STEEL (STD), TRANSMISSION: 6-SPEED AUTOMATIC 62TE (STD). 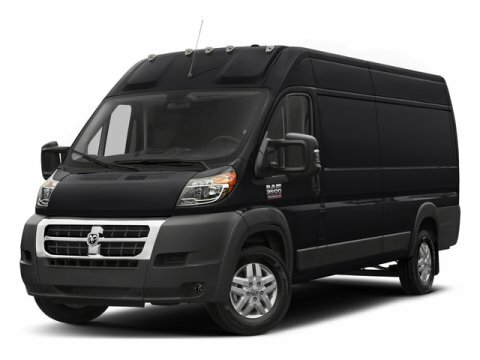 *This Ram ProMaster Cargo Van Comes Equipped with These Options *REAR HEATER - A/C PREP PACKAGE, QUICK ORDER PACKAGE 21A -inc: Engine: 3.6L V6 24V VVT, Transmission: 6-Speed Automatic 62TE , TIRES: LT225/75R16E BSW ALL SEASON (STD), SPEED CONTROL, SIDE WALL PANELING UPPER & LOWER -inc: Side Wall Paneling Lower, SIDE WALL PANELING LOWER, RADIO: UCONNECT 3 NAV W/5" DISPLAY -inc: GPS Antenna Input, PASSENGER DOUBLE SEAT -inc: Included w/the independent driver's seat is a passenger seat w/a middle seat attached, PARKSENSE REAR PARK ASSIST SYSTEM, MANUFACTURER'S STATEMENT OF ORIGIN. * Visit Us Today *Test drive this must-see, must-drive, must-own beauty today at Bleecker Chevrolet, 1200 E Cumberland St, Dunn, NC 28334.